When did the Tower of Babel happen in History? I was curious so I put this little timeline together. The best way to find the date is to add up all the genealogies. Doing this does give a reasonable indication of when this defining event took place. When you get to Peleg (Genesis 10:25) it states that “…in his time the earth was divided”. An obvious reference to the Tower of babel in the following chapter. 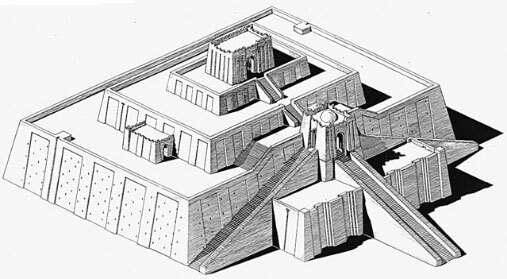 “Ziggurat of ur” by user:wikiwikiyarou – Own work, based on a 1939 drawing by Leonard Woolley, Ur Excavations, Volume V. The Ziggurat and its Surroundings, Figure 1.4 . Licensed under Public Domain via Wikimedia Commons.